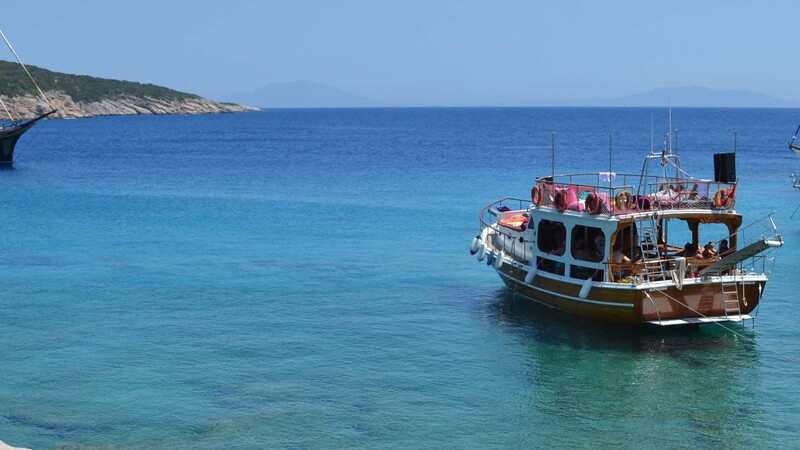 Treat yourself with daily boat trips, visiting the most elegant bays and beaches of Bodrum, while enjoying the panoramic view and chilling out with refreshing beverages under the Aegean sunshine. 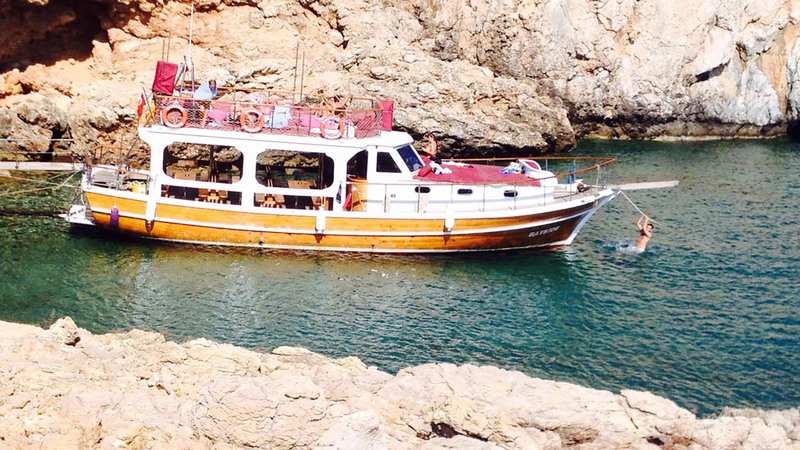 Your day includes: Hot meal , freshly cooked and served on board - in the afternoon fruits, turkish tea and biscuits - a full day of sea, sund and lots of fun. 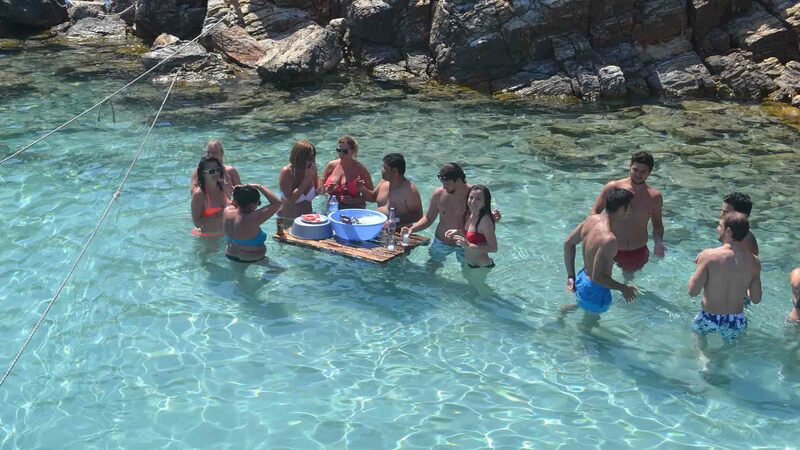 We have a full bar available where you can buy cold soft and alkoholic drinks while enjoying the crystal clear water and the mediterranean sun. Zwemmen, snorkelen, zonnebaden, vissen, watersporten, een modderbad of gewoon lekker zitten, relaxen en genieten van de omgeving. Zwemmen, snorkelen, zonnebaden, vissen, watersporten, kamel rijden of gewoon lekker zitten, relaxen en genieten van de omgeving. Zwemmen, snorkelen, zonnebaden, vissen, watersporten of gewoon lekker zitten, relaxen en genieten van de omgeving. 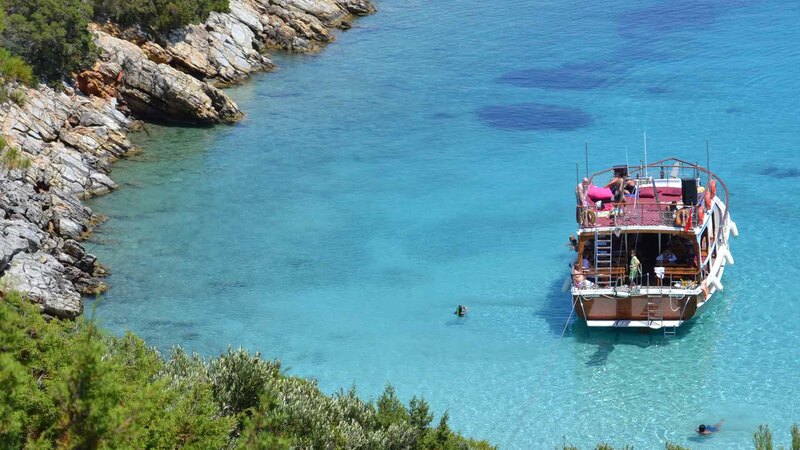 For those of you who wish to have a day away from the crowds and simply like the privilege of having the entire boat to yourself for the day, this is the ideal option for you. 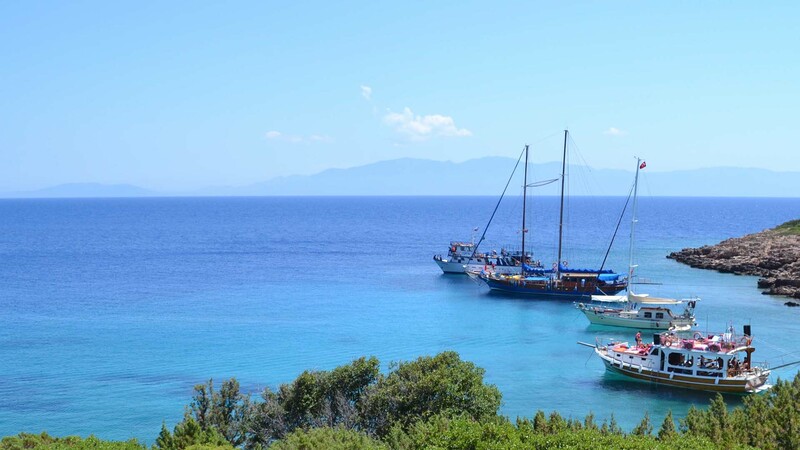 Enjoy a day on a private boat trip just with your friends and/or family and visit the most beautiful bays on the Bodrum peninsula. 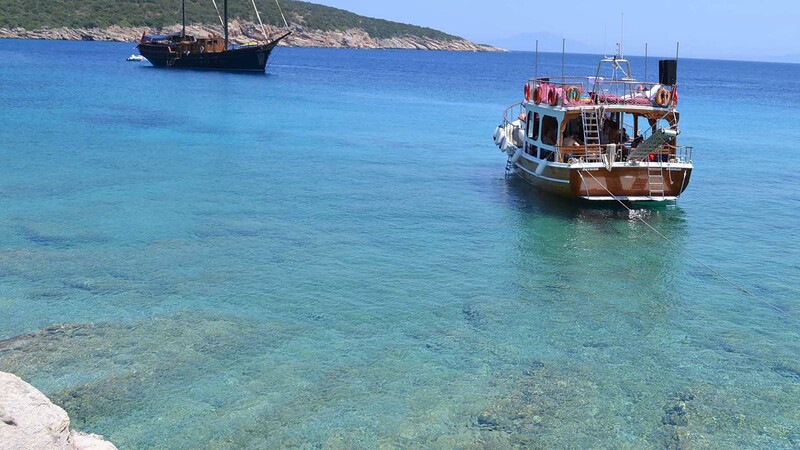 The advantage of hiring a private boat all to yourself is that can choose when and where on the Bodrum coastline you would like to go. 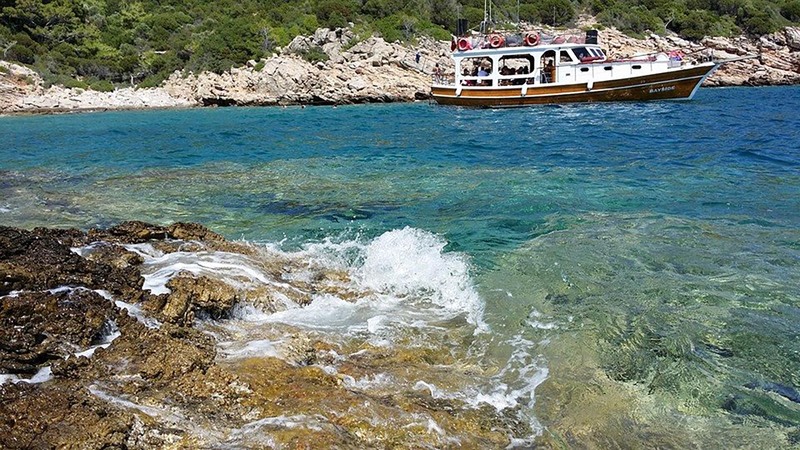 You can also simply relax and trust our captain to take you to the most beautiful bays. Our private boat tours can be adjusted to your special wishes and needs. It's also the perfect choice for private parties, weddings, anniversaries, birthdays, or any special occasion. We offer freshly cooked lunch on board, fresh fruits, afternoon tea & cake. Pls contact us of for further details and prices. 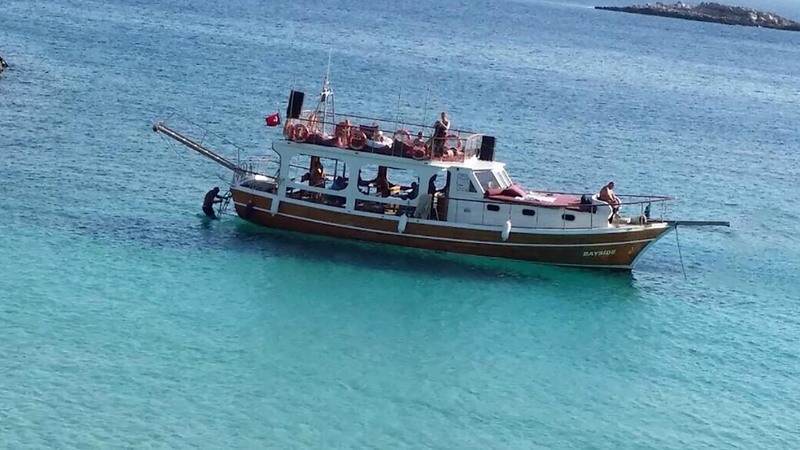 Unsere Boote sind mit Rettungswesten, Umkleidekabine, WC und Dusche ausgestattet. Es gibt bequeme Liegeflächen und Kissen zum Sonnenbaden. Falls die Sonne zu heiss wird stehen auch Schattenplätze zur Verfügung. An unserer Bar können gekühlte alkoholische sowie nicht-alkoholische Getränke erworben werden. Bayside is a middle size boat and has a max. capacity of 38 people. 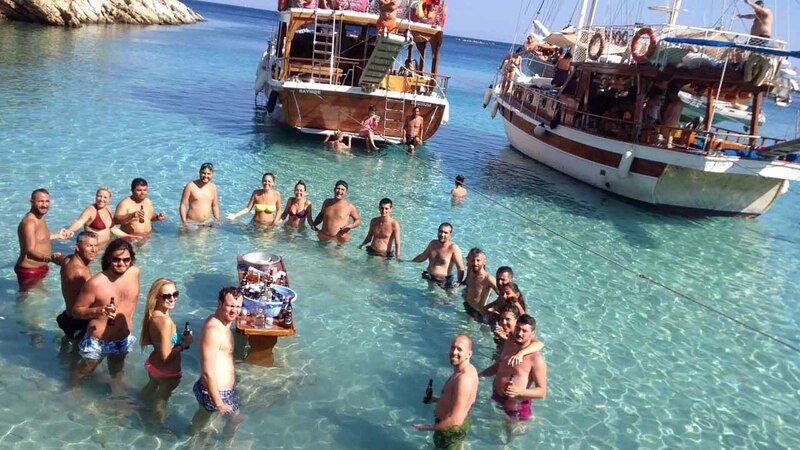 For those of you who prefer a larger boat and a bigger group of people Bayside is the right choice for you. Tora is a smaller boat and has a max. capacity of 24 people. 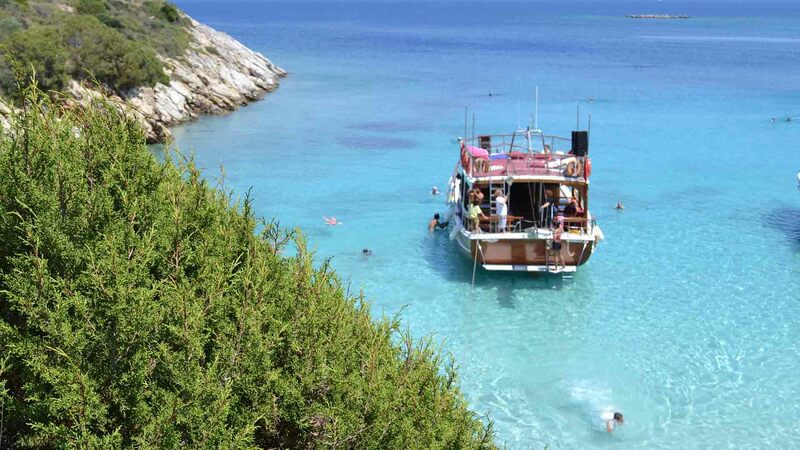 For those of you who prefer a small group of people and a smaller cosy boat Tora III is the right choice. 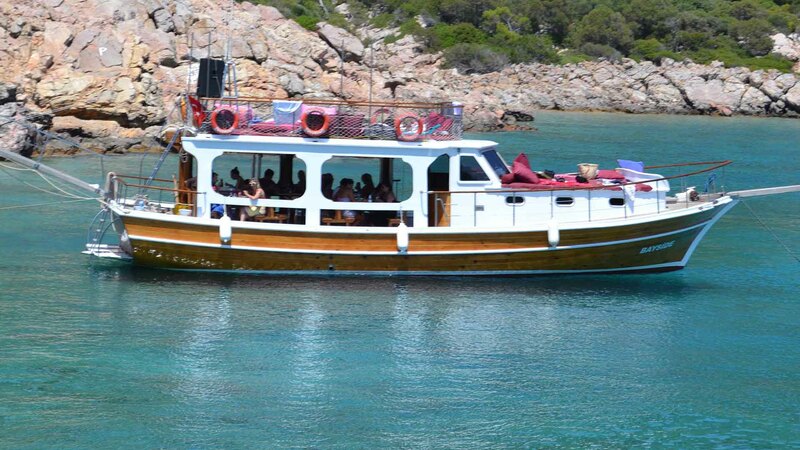 Tora is also available as a daily charter boat for private boat trips just for yourself and your family/friends. For details please have a look at our Private Tour section. You should definitely try Bayside & Tora Boat Tours, you won't regret it.